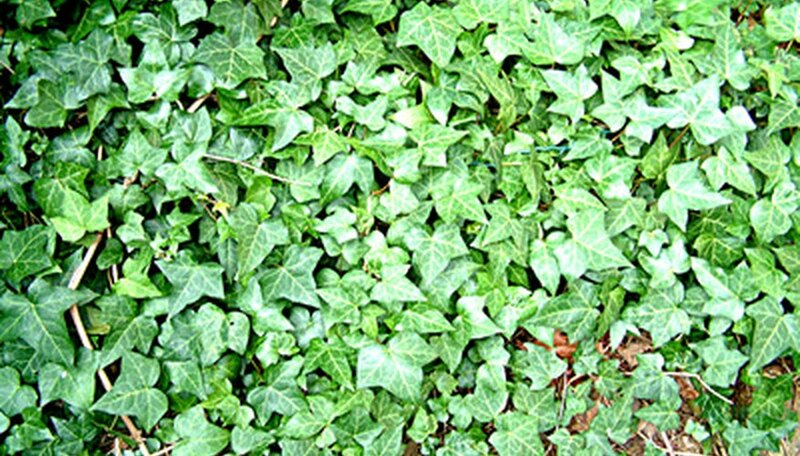 Ivy (Hedera) is a woody evergreen plant that is well known for its climbing abilities. Ivy can grow along the ground, around a tree or up the walls of your house. The ivy will continue to grow unless you do something to control it. Fortunately, there is a home remedy you can use. It utilizes Dawn dish detergent because Dawn sticks the active ingredients to the ivy so that they can work to kill the ivy. Cut the ivy back with a set of pruning shears. Ideally, you want the ivy cut back to within 6 inches from the ground. Place 1 gallon of 20 percent vinegar in a large pot on your stove and bring it to a boil. The 20 percent vinegar is strong enough to kill any type of vegetation, including ivy. If you can't find vinegar at a 20 percent strength locally, you can order it online. Add 8 oz. of salt to your vinegar while it is still boiling. Once the salt dissolves, you can remove it from the heat. Salt will work in the soil to keep the ivy from growing back in the future. Drip 8 drops of Dawn dish detergent in your homemade ivy killer. Mix all of the ingredients. Transfer your ivy killer to a watering can. Pour the mixture over the last 6 inches of ivy. Make sure you also get the soil surrounding the ivy to kill the roots. Do not use your homemade ivy mixture near any other type of vegetation.